Case studies enable aspiring administrators to refine their reaction skills as well as their critical-thinking skills by responding to a multitude of problems in a short time. 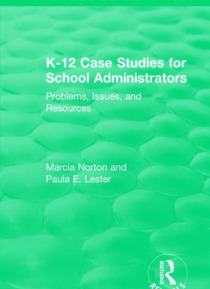 Originally published in 1998, the case studies in this book provide a broad-based overview of the kinds of real problems that schools were facing at the time. The problems administrators face on a daily basis vary in scope a… nd complexity. Short cases provide opportunities to address, analyse, and resolve problems encountered in the real working environment. Students must actively engage in a process of inquiry and problem solving. This book can be used over several years according to the case studies selected for class use. This is a multicourse, multiyear action case-study text.